Looking for ways on how you can make the most with the room space you have right now? One of the best space-saving solutions to consider is having a bunk bed at your place as these are designed to help homeowners maximise every space available to them. 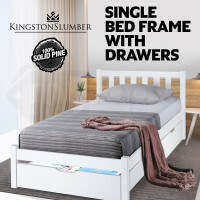 Perfect for families with two or more children, Kingston Slumber has a line of High Quality Bunk Beds and Bed Frames with spaces available for under bed storage drawers. 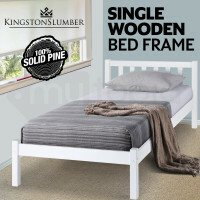 Made from solid timber pine bed frame, homeowners have nothing to worry when it comes to users' safety since the bunk beds are durable and can be used for years. 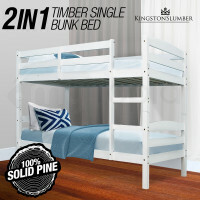 The bunk beds are also designed with securely fixed and conveniently positioned ladder to ensure safe climbing. Developed with space saving in mind, the bunk beds are easy to assemble and could be easily converted to two beds when needed. 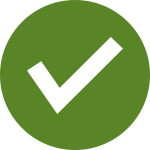 Eliminate the use of hanging cabinets and other stuff in your rooms that will only make the place look untidy and crowded. 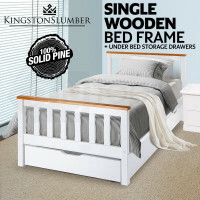 Instead of these, why not have the Wooden Bed Frames from Kingston Slumber and add the Under Bed Storage Drawers so you will have extra space to store your clothes and other things. Keep your stuff organised without sacrificing the room's stylish interior design. 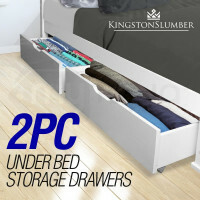 The drawers feature a modern design; making them suitable to any contemporary Aussie home. 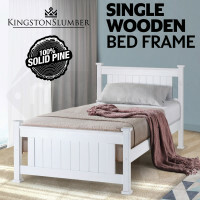 Have a comfortable and relaxing sleep. 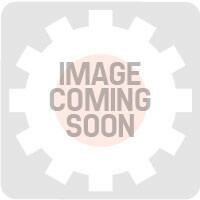 Mytopia offers other beds and accessories that will make nighttime something to look forward to. 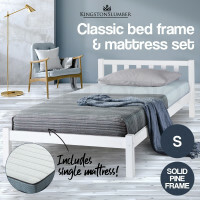 Pair the Bunk Beds and Bed Frames with Kingston Slumber hypoallergenic and well ventilated Mattresses and have a great night sleep. Trundles and Storage Cabinets are also available so every homeowner can save space and cleverly organise their stuff. 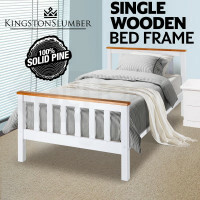 Have pleasant and airy bedrooms. 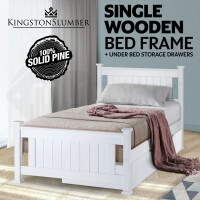 Great for any room size, purchase any of the Bed Frames and Bed Bunks from Kingston Slumber and get a 12 month warranty on us!